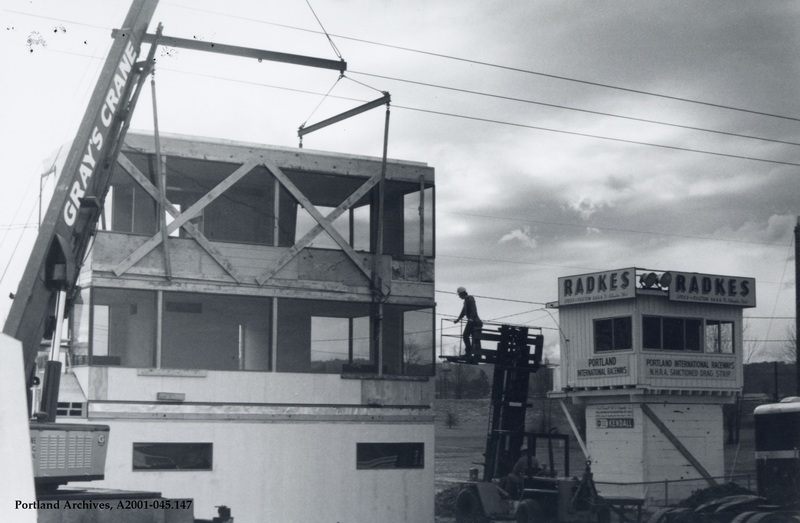 Construction on the Portland International Raceway tower, 1974. 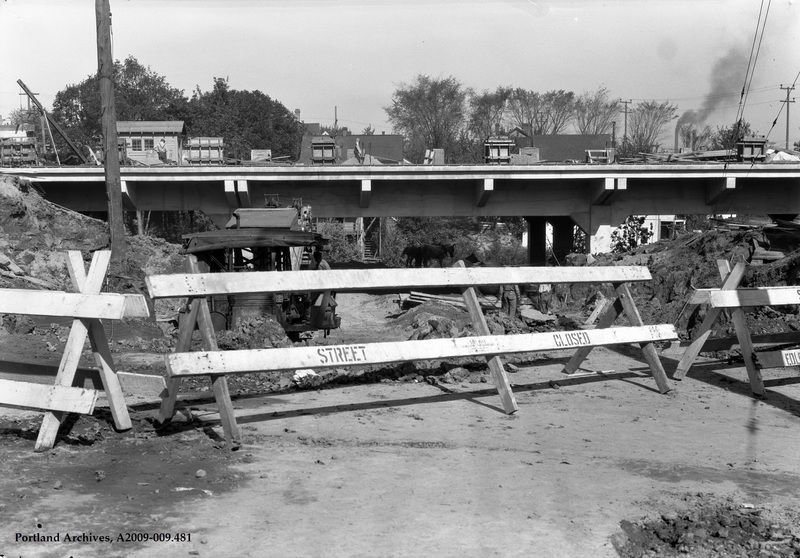 City of Portland (OR) Archives, A2001-045.147. Close-up of four firefighters from Truck 5 posing outside Station 8 at 45 NE Russell Street, circa 1910. 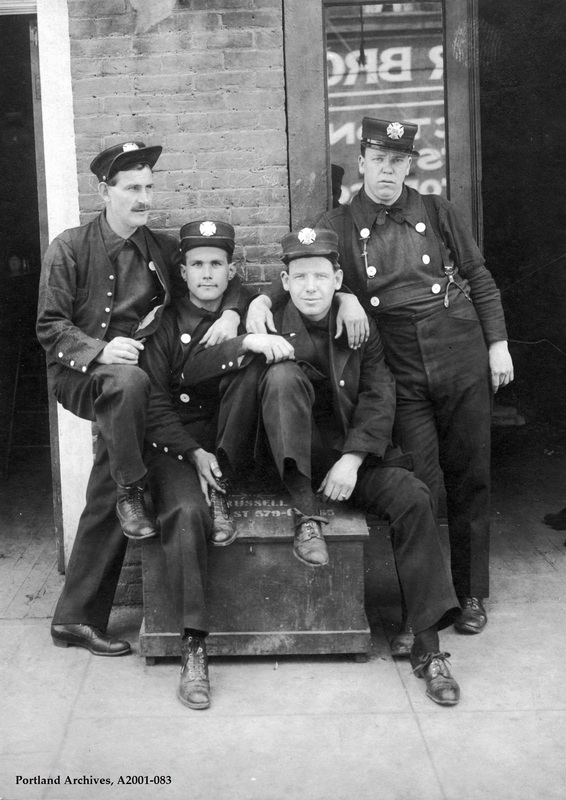 City of Portland (OR) Archives, Close-up of four firefighters from Truck 5 posing outside Station 8, A2001-083, circa 1910. 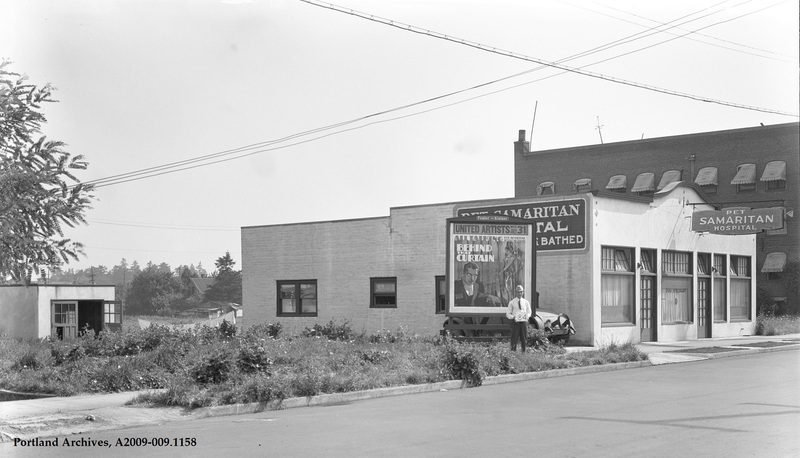 A number man outside of Pet Samaritan Hospital at 2519 E Burnside Street, 1929. 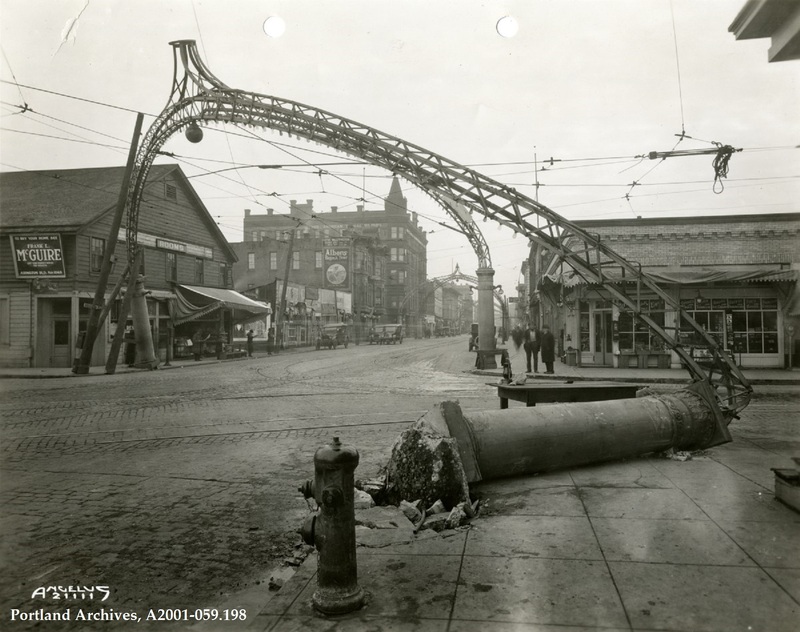 City of Portland (OR) Archives, A2009-009.1158. 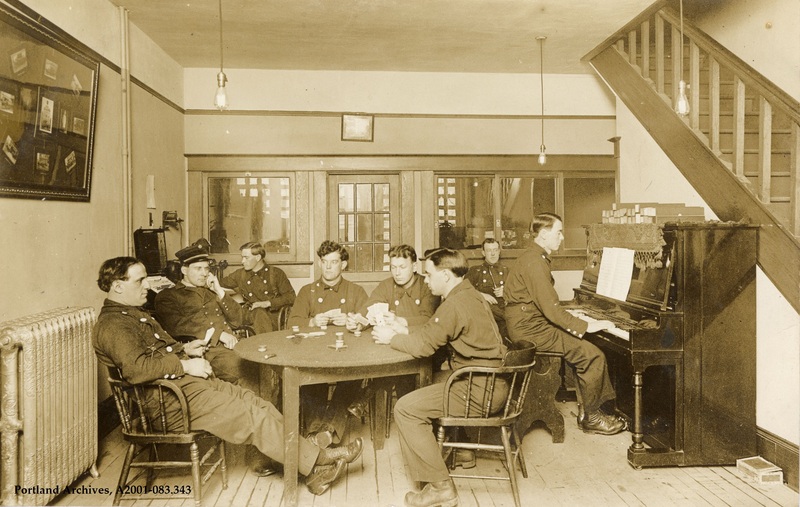 Chief Jay Stevens (second from left) and Station 23 crew in quarters, 1914. The building is located at 1917 SE 7th Avenue. City of Portland (OR) Archives, A2001-083.343. 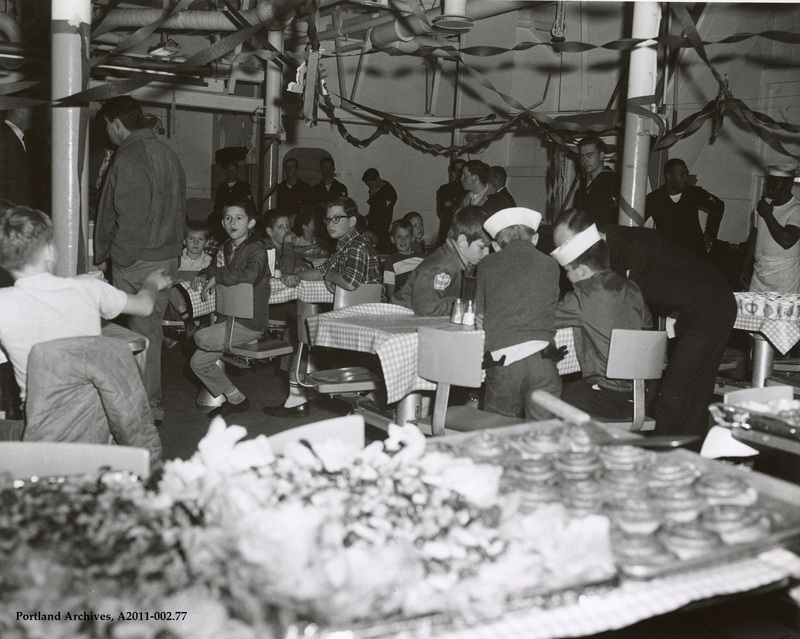 Boys’ Clubs of Portland having Thanksgiving aboard USS Chipola, 1966. City of Portland (OR) Archives, A2011-002.77.